This book brings together and analyzes recent research findings relevant to university and college management, both empirical and theoretical, and places them in the context of existing ideas about the management of the modern university, and the policy frameworks within which they operate. This book presents, analyzes and critiques the research which has appeared over the last five years on key institutional management themes, reporting on findings made in the UK, continental Europe, North America and Australia. It focuses on topics which have become highly significant, in policy and professional terms, in recent years, such as the task of the university in the knowledge society; internationalization of higher education; sustainability; universities' engagement with their communities; and the implications of European Higher Education Area. Dr Paul Temple is the very best person to get to the bottom of the mystery of the university hallmark. What are the conditions of quality that enable a university to stamp its distinctive 'responsibility mark'? Who are the guardians of this particular craft? How does the guild decide, and what does it mean to the public? This is an immensely thoughtful, deeply experienced, appropriately wide-ranging and persuasively generous account of the condition of the university at its best; as well as when (and how) it can fall short of its best. It should be read by anyone who cares enough to understand what lies at the heart of the case. 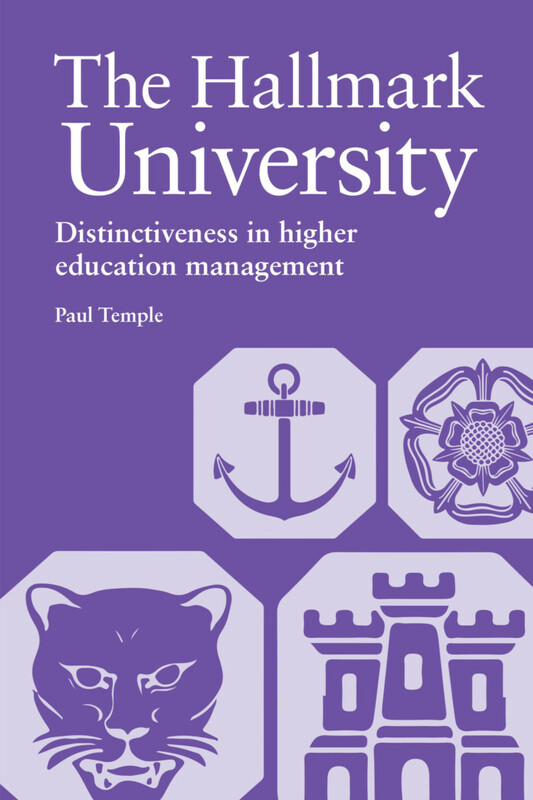 "A real primer on factors that influence effective university management. Especially noteworthy is the chapter that discusses university space and place." 8) The student experience: can students be given what they say they want? Paul Temple is Emeritus Reader in Higher Education Studies at the UCL Institute of Education.